Presidential timber or blasphemer in chief? Just yesterday I found myself engaged in a very moving and inspiring conversation with some of the Jewish inmates I teach at an Ohio correctional facility. The topic was how do we worship God beyond prayer? How do we fulfill the commandment to love God with all our heart and soul? The answer to me has always been quite simple, love other human beings. Show respect and compassion of all of God’s children and you are expressing love and devotion to God who is the Source of all love and life. I suggested that people who proudly wear the mantle of one faith or another but use their religion to sit in judgment of others; to speak condescendingly of others; use God and the Bible to denigrate others, are ultimately guilty of blasphemy. 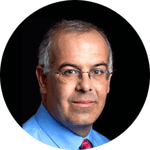 Thank you David Brooks. You and I are on the same page when it comes to Ted Cruz and Christians who think and behave like him. But Cruz manufactures an atmosphere of menace in which there is no room for compassion, for moderation, for anything but dismantling and counterattack. And that is what he offers. Cruz’s programmatic agenda, to the extent that it exists in his speeches, is to destroy things: destroy the I.R.S., crush the “jackals” of the E.P.A., end funding for Planned Parenthood, reverse Obama’s executive orders, make the desert glow in Syria, destroy the Iran nuclear accord. Cruz exploits and exaggerates that fear. But he reacts to Obergefell in exactly the alienating and combative manner that is destined to further marginalize evangelicals, that is guaranteed to bring out fear-driven reactions and not the movement’s highest ideals.